Nintendo has announced that its upcoming VR Labo Kit for its Switch console will support two of its most popular titles to date – Super Mario Odyssey and The Legend of Zelda: Breath of the Wild. In a short video posted to Nintendo of America’s Twitter page, the company revealed a “bite-sized” experience for Super Mario Odyssey, which involves a variety of mini-games in three of the title’s existing worlds – Cap, Seaside and Luncheon Kingdoms. When showing off Breath of the Wild, however, the only clue we have to the extent of its VR support is a menu item that says “This game is compatible with the Toy-Con VR Goggles”. 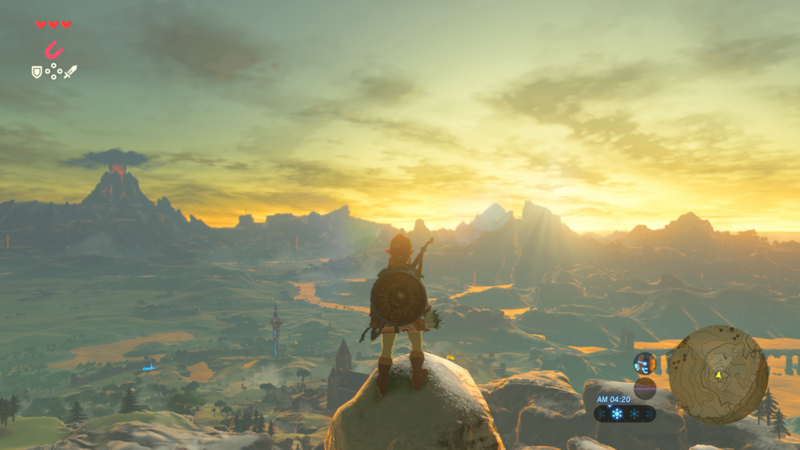 This in combination with the variety of locations and activities shown off in the Zelda footage seems to imply you can experience the entirety of the epic adventure in virtual reality. It’s worth noting, however, that you’ll need to start a new save file to experience the wild world of Hyrule in VR, although once you have, you can seemingly enable or disable virtual reality mode at any time via the menu. Both titles will receive their VR support for free on April 25, although in order to experience them in virtual reality, you’ll need to purchase one of the Labo VR Kits, available from April 12.